﻿Lolo French Antiques et More﻿. Lolo, as he is affectionately known, has the French sense of joie de vivre. He puts the joy of living into every aspect of his life, whether furniture, food, family or folly. Lolo attended a French culinary school in his early teens, but wanderlust found him in the United States by the age of seventeen. While working as a carpenter on a sailboat, he realized his passion for working with his hands. He chartered his own boat through the Caribbean, entertaining vacationers with his storytelling and cooking abilities. Eventually he landed back in the South, working as Chef in a Miami hotspot and having adventures of the urban/celebrity kind. It was his late father, Maurice, who proposed the idea of importing European antiques to the United States. 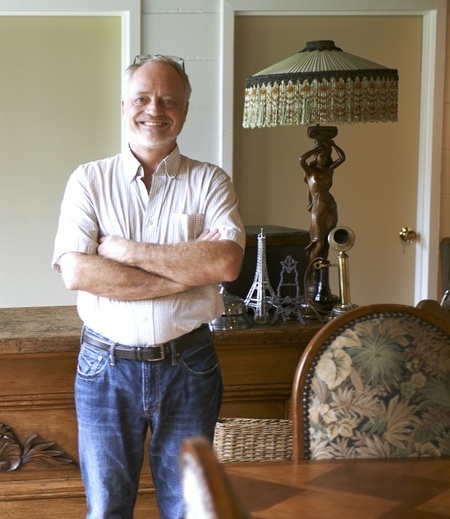 With his father's help and guidance, Lolo embarked on his current career and has now been buying and importing antiques for more than 20 years. Finding extraordinary pieces has become Lolo's passion. He travels and buys from all over France, searching through markets and fairs, manors and chateaus, dimly lit warehouses and backstreet alleys lined with family owned shops, for one-of-a-kind finds for the home. Once the treasure trove of stately antiques, quaint and rare objets d’art and flea market brocante has arrived from our warehouse in France, Lolo begins the process of restoring each piece with great care and attention to detail; ensuring they are perfectly ready to be placed into one's home, office or retail stores. 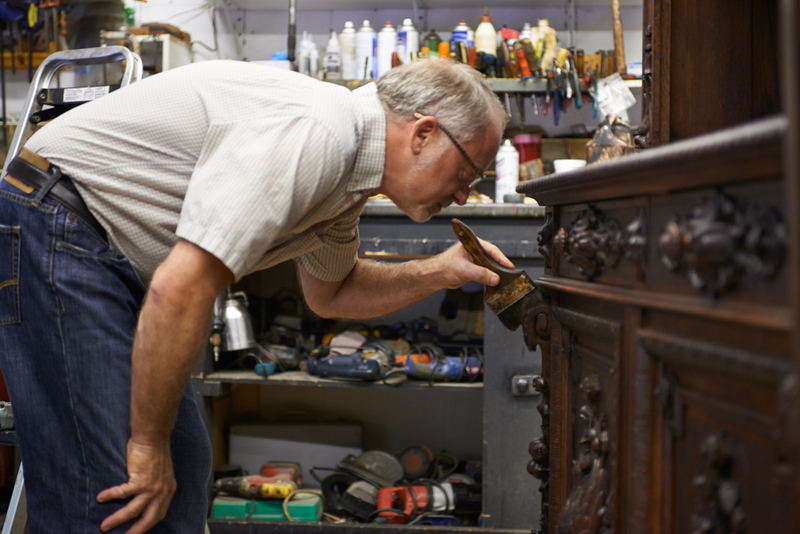 His talent and expertise in fine furniture REPAIR, RESTORATION and REFINISHING distinguish him from other antique dealers in the Birmingham area. Lolo's personality is reflected in his business. Lolo French Antiques et More has a delightful and vast inventory of French and European antiques, French Flea Market and Venetian chandeliers, and a line of trumeau mirrors that Lolo designs and makes by hand. He has an eye for mixing 18th century period pieces with glamorous Art Deco, modern Mid-Century finds and new, French inspired decor. 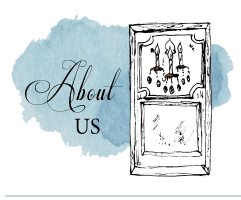 We've created a shop that is a special place to visit, to stay in touch with, and to trust when making your most important antique purchases and we want to thank everyone for the support and confidence you place in us. It's our pleasure to work with so many talented designers and such a wonderful clientele. We update our website weekly with our latest finds, so check back regularly to browse through our newest additions, and please sign up for LOLO'S NEWSLETTER to ensure you will be notified via e-mail when new shipments arrive. Also, remember to LET LOLO KNOW if there's a special piece you are interested in for yourself or a client. And we always welcome you to visit our retail shop in Birmingham's Lakeview Design District. Shop hours are Monday thru Friday, 10 a.m. to 5 p.m., and Saturday, 11 a.m. to 4 p.m.
﻿WHILE MIMI MONTGOMERY WORKED for a national publishing company early in her career, she found her calling when taking time off to be a stay-at-home mom and a friend needed help with his antiques store. This new dalliance instilled in her a love of all things French, fine art and the thrill of the hunt. It was this venture, along with her background as a sales and marketing professional, that gave her the experience and confidence to tackle her current project — working side-by-side with Lolo in his established antiques business. Once Mimi made the decision that she and Lolo could live and work together, her goal became showing #brownwood in a way that would be hip and cool. She wanted it to be uniquely appealing, beyond just a description and provenance, and she wanted the new website she created to be informing, entertaining and user friendly to both the novice and the experienced collector. 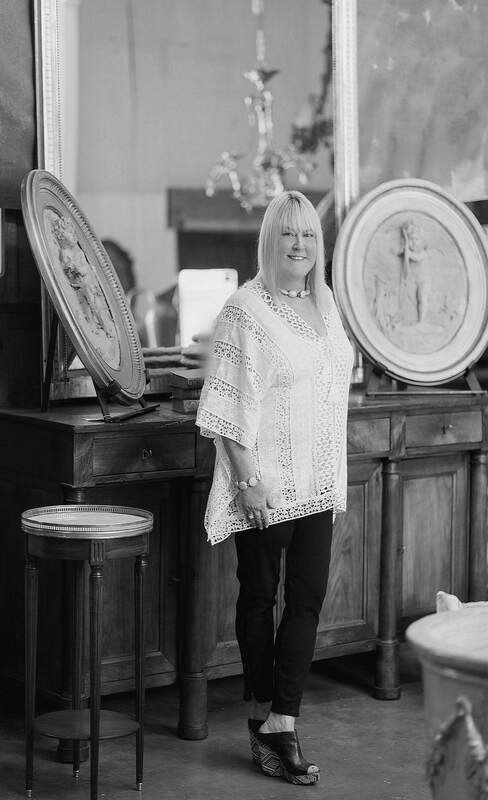 She set out to make the daunting and often pompous world of French antiques seem like the friendlier and more approachable, wonderful world of French antiques, which she definitely knows and loves. With a new company name, Lolo French Antiques et More, and a new logo, she began the task of rebranding. Mimi wears many hats. She's the Social Media and PR Manager, website editor and blogger. But her main responsibility is e-commerce. Her immersive style and attention to details, decorative or not, have vaulted Lolo French Antiques et More, into a wider audience, which includes 1stdibs, DECASO, and One King’s Lane. She’s made shopping for brown wood a fun and enlightening adventure. If you can’t personally visit the rambling warehouse she and Lolo have filled to the rafters with hand-picked period and style pieces, you can see the selection offered online and experience all she’s created online — by exploring the website, reading the ﻿blog﻿ she pens about the tales and travails of being an antique dealer and direct importer, or by liking, sharing, following, pinning, and tweeting the many social media sites she manages. Teaming up with illustrator Nan Richards, Mimi developed a cast of characters that include her and Lolo’s iconic French bulldog named Louis, as well as the House of Bourbon’s King Louis’, with all their royal quirks — and a chorus line of supporting characters that pop-up throughout the website. From the home page to the blog, the atmosphere is relaxed and lighthearted, with a modern, yet whimsical look, designed to take you on a delightful journey. Whether shopping for period antiques or flea market brocante, Mimi presents antiques in a way that is exciting, not stodgy or old fashioned. She has also been named as the first regular contributor to The Antiques Diva & Co. blog by company owner and founder, Toma Clark Haines. 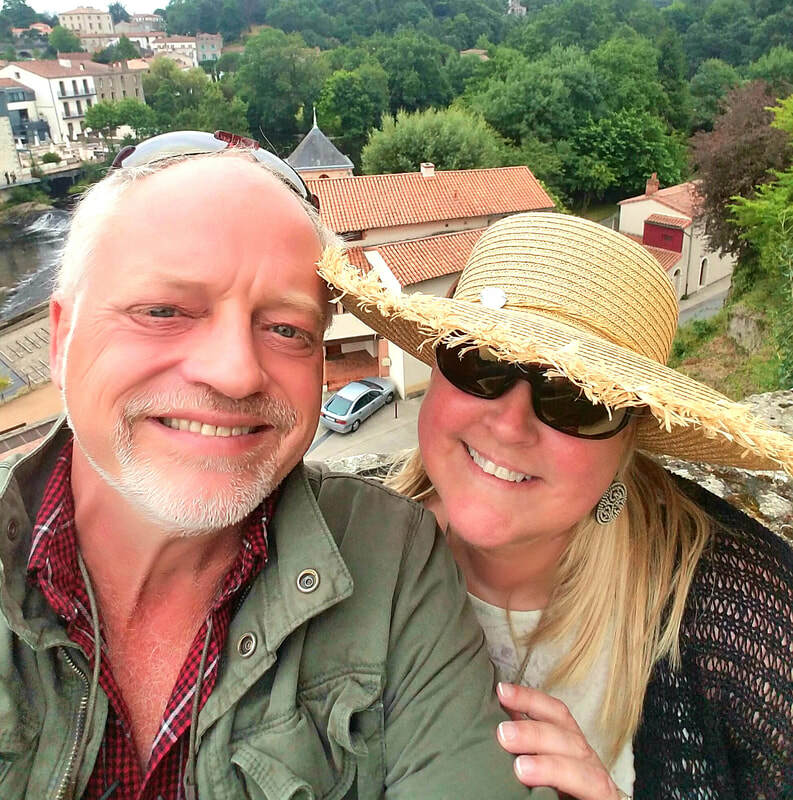 When this Francophile is not researching all things French, she is dreaming up ways to showcase Lolo French Antiques et More in charming new settings or traveling to various antiques shows. She loves art, the beach and Lolo’s French cooking, and like any southern girl worth her houndstooth, she’s passionate about her beloved Alabama Crimson Tide. She and Lolo reside in Homewood, Alabama with Louis, their Frenchie — not the king.